Perfect pomander! 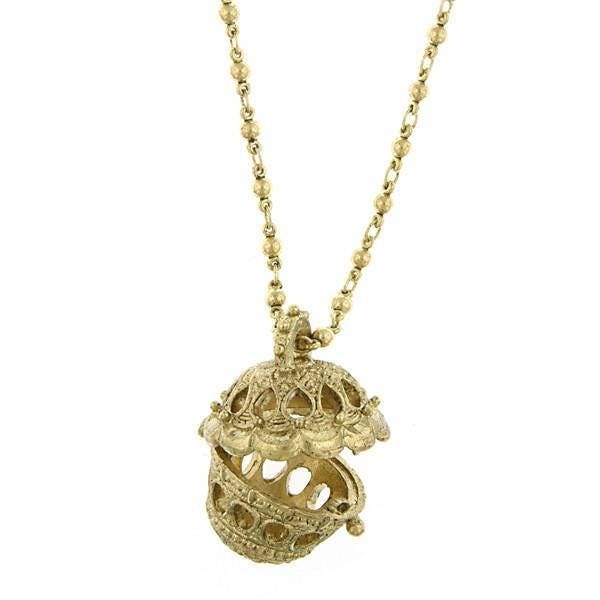 A long gold toned chain suspends a vintage filigree basket that opens and closes giving you the perfect place to store something near and dear to your heart.... OR... add stick cinnamon, clove buds or other fragrant herbs for an instant pomander. Keep those vile airs away! Hang it from your neck or wear on your belt. The chain measures 24" and the pendant basket measures 1" W x 1.25" H.
Look for other Antiquities pieces in the Museum Reproduction section and the Vintage Jewelry section.